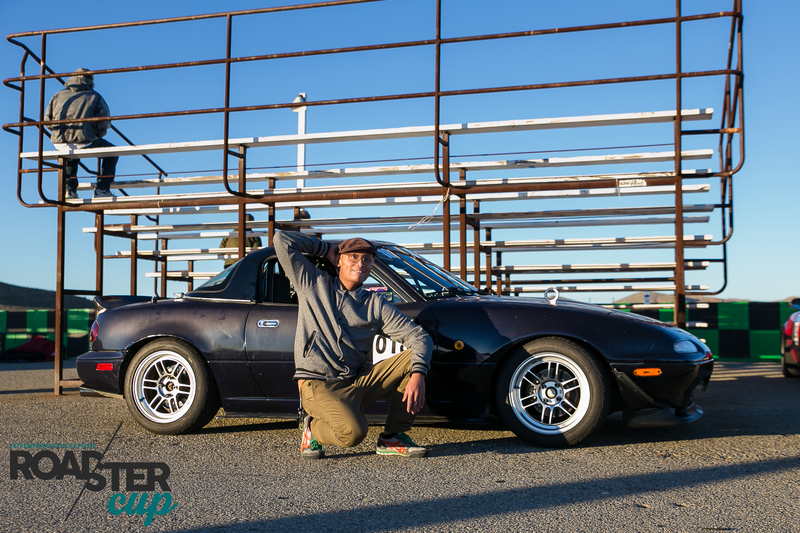 In this edition of Driver Spotlight we’re meeting the awesome Street Class driver, Marco Canlas! I was born in the Philippines, moved here in ‘96. Yes, I was a Honda guy before. Everyone knows how the story goes, they get stolen; luckily I had full coverage. Out of the blue, one of my friend suggested I should build a Miata this time around, so we browsed AutoTrader and bought the first Miata we found the same day LOL! Oh man where do I begin. It’s got a fairly built high compression motor built by Pit Garage, all suspension bits and bushings have been upgraded, bolt in rollcage, 2 way diff, 6 speed transmission, and a plug n play Megasquirt just to name a few. On and off about 7 years but during the past 3 years or so I’ve been fairly active. For how long or how many times have you competed in the Roadster Cup? I believe I have only competed 4 times so far but I plan on doing as much as I can this season. Back in May of 2007. Yes, it desperately needs a new paint job so if someone wants to hook the brotha up, holla at cha boi haha! Oh, and a new intake setup. If my Civic didn’t get stolen, I would probably still be messing with it. Laguna Seca would be awesome. I just wanna drive as much as I can this season, gather points, and improve my driving. Laguna Seca because it’s like a dream come true. I LOVE ROADSTER CUP! – We love Marco, too! 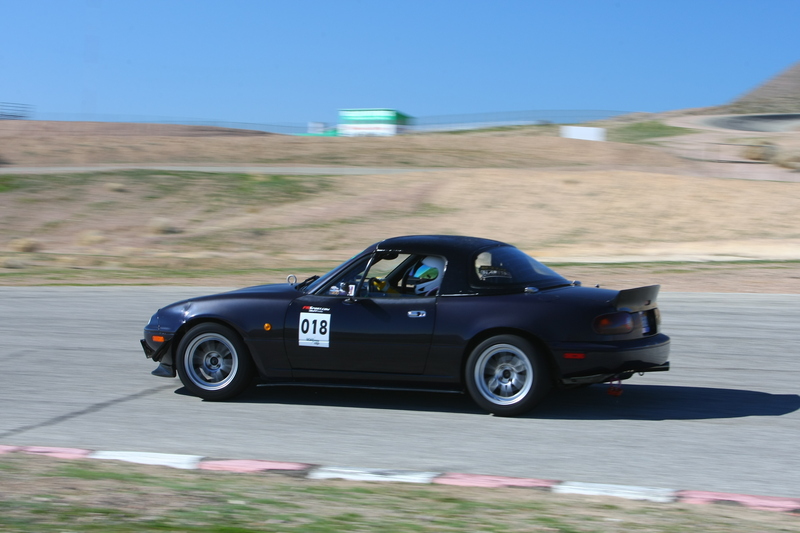 Check out Marco’s in car footage from Round 1 at Streets of Willow (CCW).